Indian Football: FC Goa clinches the Super Cup, Mohun Bagan sign former player Katsumi Yusa, Borja Gomez Perez signs an extension with East Bengal, and much more! Welcome to another edition of the Indian football news roundup. Today, we will talk about FC Goa clinching the 2019 Super Cup title, Mohun Bagan signing their former player Katsumi Yusa, Borja Gomez Perez signing an extension with East Bengal, and the proceedings of the AIFF League Committee meeting held today in Bhubaneswar. In case you missed out the previous edition of the Indian football roundup, you can check it out here. 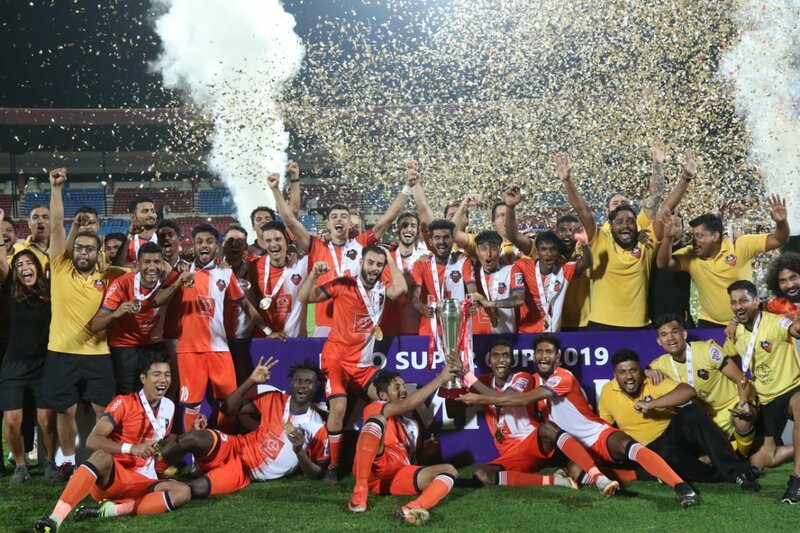 FC Goa finally quenched their thirst of having a silverware in their trophy cabinet when they pipped Chennaiyin FC in the Super Cup 2019 final at the Kalinga Stadium in Bhubaneswar. Ferran Corominas put the Gaurs ahead before Raphael Augusto scored the equalizer. FC Goa made it 2-1 through Brandon Fernandes and the final scoreline remained the same. The match began on a frenetic note with shots from both the sides of the pitch. Chennaiyin FC, in particular, should have taken the lead but Mohammad Nawaz did well enough to keep the scoreline intact in the first half. However, the tables turned when the teams came out from the tunnel. FC Goa made their intent very clear when Edu Bedia’s shot rattled the crossbar courtesy of a wonderful Hugo Boumous back heel. They were rewarded two minutes later in the 51st minute when Coro pounced on the rebound to tap in Edu Bedia’s initial shot. Chennaiyin FC took only two minutes to level things up when they caught the Goan defense napping and took a quick free-kick. A neat triangle between Raphael Augusto, Anirudh Thapa, and Gregory Nelson ended up with the former dispatching the ball into the back of the net. The goal-fest continued its course when Brandon Fernandes slipped the ball between the goalkeeper Karanjit Singh’s legs from a tight angle to restore the lead. Chennaiyin FC did everything they could to score the equalizer and the closest they came was in the 96th minute when Eli Sabia’s shot from the penalty box rattled the woodwork. Mohun Bagan has signed Japanese veteran Katsumi Yusa from NEROCA for the 2019-20 season. The Fukushima Bomber previously clinched the I-League title with the Green and Maroons in the 2014-15 season and even won the Federation Cup the next season. Mohun Bagan fans were elated to hear the news as he brings with him years of experience in the Indian football circuit and trickery which were havoc for the opposition defenders. Former La Liga player Borja Gomez Perez has signed a two-year extension with East Bengal that will keep him till the end of the 2020-21 season. It is believed that the decision was influenced by coach Alejandro Menendez, who had himself signed a two-year extension. Forwarding the matter of the I-League clubs’ withdrawal from the Super Cup to the Disciplinary Committee. TW3 method of bone-age determination to be implemented for the Sub-Junior National Championship next season onward. The match between Real Kashmir FC and Minerva Punjab was forfeited with both the clubs agreeing to share one point. The AIFF Integrity Officer found nothing to be suspicious in the final I-League encounter between Chennai City FC and Minerva Punjab. Is Nicolas Pepe on his way to the Emirates?